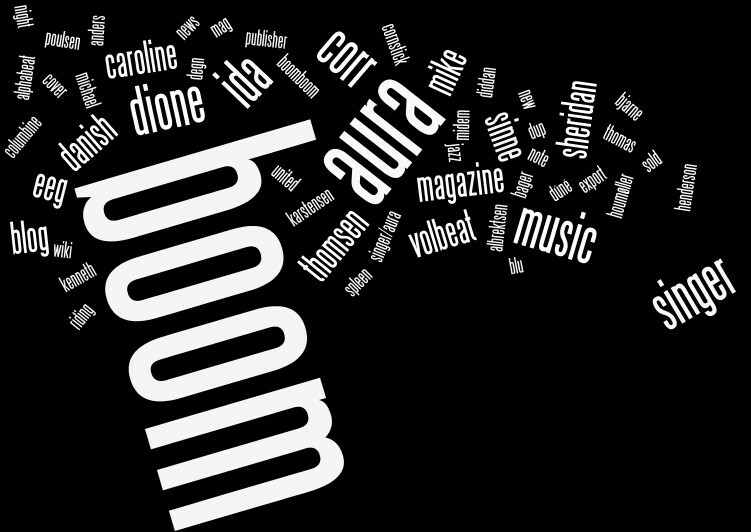 This entry was posted on March 12, 2009 at 11:12 am and is filed under alphabeat, aura dione, boom boom magazine, caroline henderson, danish music scene, ida corr, kenneth bager, mike sheridan, music promotion, sinne eeg, sociale medier, Volbeat with tags alphabeat, aura, aura dione, boom boom, caroline henderson, content map, Dúné, ida corr, mike sheridan, music export, sinne eeg, social media, venice, volbeat. You can follow any responses to this entry through the RSS 2.0 feed. You can leave a response, or trackback from your own site. What tool was used to make the graphical representastion? It looks cool! When will next edition be out? Ordskyer holder… Hvor har du lavet denne?